Having in mind the fact that Adidas still refuses to withdraw its ‘USSR’ clothing line and publicly apologize for the incident, UCMC publishes its eighth visual reminder to the company. May 18-20, 1944, the Soviet secret police used cattle cars to forcibly evict at least 190,000 Crimean Tatars from their Crimean homeland to Soviet Uzbekistan, some several thousand kilometers away. Approximately 8,000 Crimean Tatars died during the deportation, while between 30,000-45,000 perished as a result of harsh conditions in subsequent years. It wasn’t until the late 1980s that Crimean Tatars were allowed to return to their historical home. They were just one of ten ethnic groups who suffered as a result of the USSR’s forced population transfer policy. 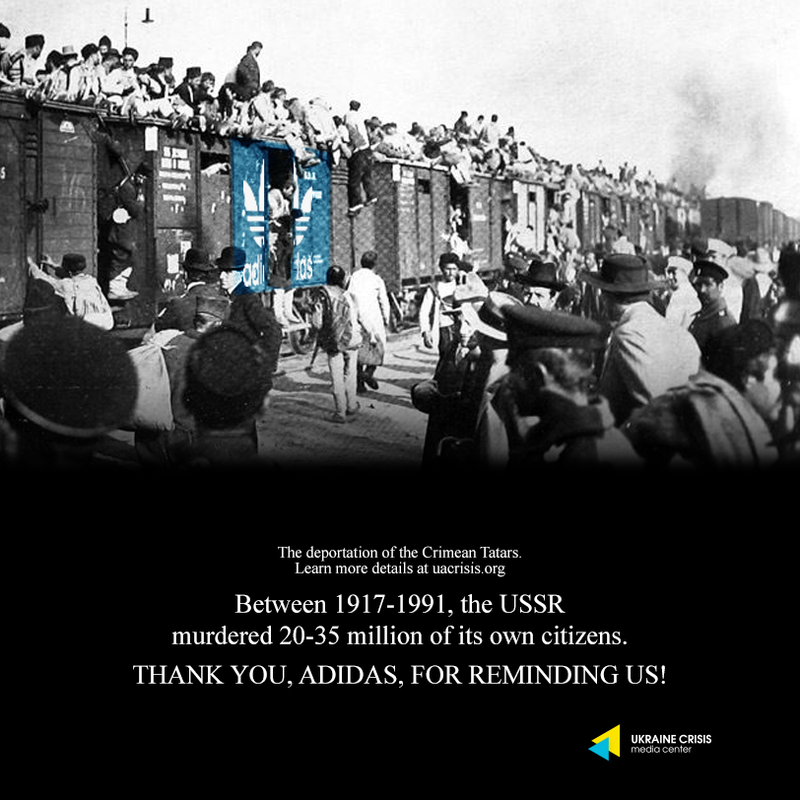 Why does Adidas continue to align its marketing strategy with a murderous regime?